With Cordy House set to close, it is very likely the fantastic space will get turned into Luxury Flats (do we really need more flats for twats!). 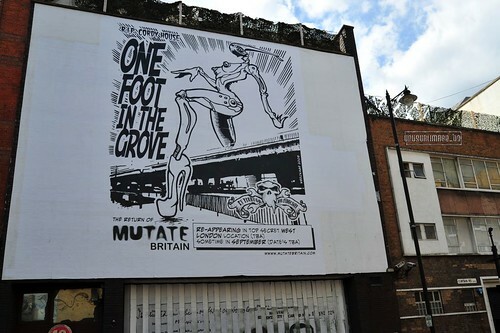 The current tenants have taken to opportunity to use the outside of the building to advertise the return of Mutate Britain in a secret WEST London venue yet to be announced sometime in September. More info when we have it.